Do you dream of pirates and fairies, want to relax with a cup of coffee, or need a place to let creativity thrive? D.I.Y. (Dream It Yourself) Treehouses and similar structures may provide you with what you're looking for. Join me as we explore some special hideaways, for kids of all ages, where imagination runs free! 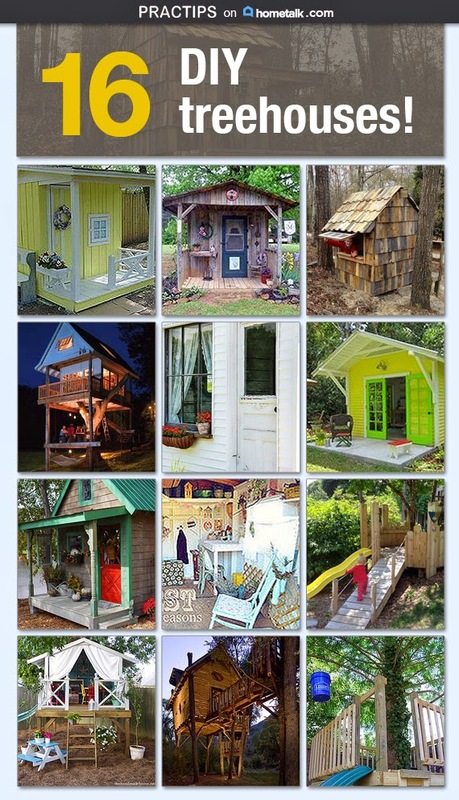 This collection comes from my board "Treehouses Etc" on Hometalk. From simple to elaborate, these retreats offer an escape from every day life. While my Hometalk board displays sixteen structures in total, I'll focus on three simple designs and three elaborate designs for the purposes of this post. Let's take a look...are you ready? Simple Designs Can Be Fabulous! These structures prove that you don't need to break the bank to have a great place to play. 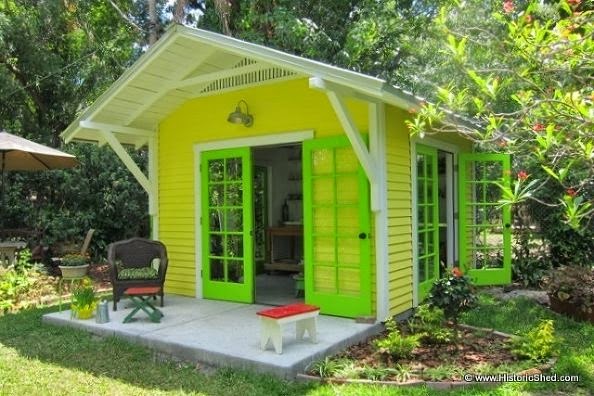 If you have an existing, unpainted building, why not dress it up with some paint and accessories? Take it from good to fabulous with a bright, happy color. 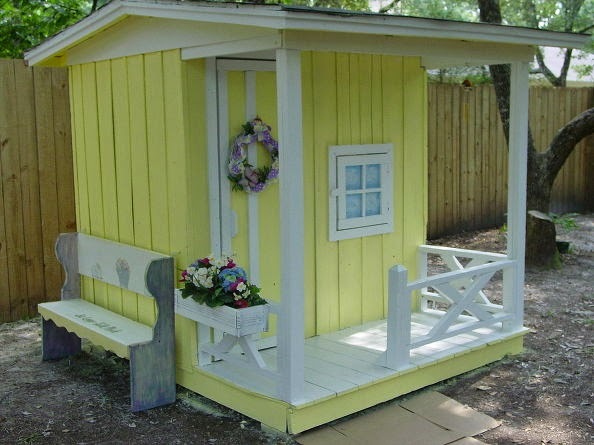 See how these grandparents dressed up this playhouse for their granddaughter. When you can't decide who gets the building, build two! That's what this couple did. 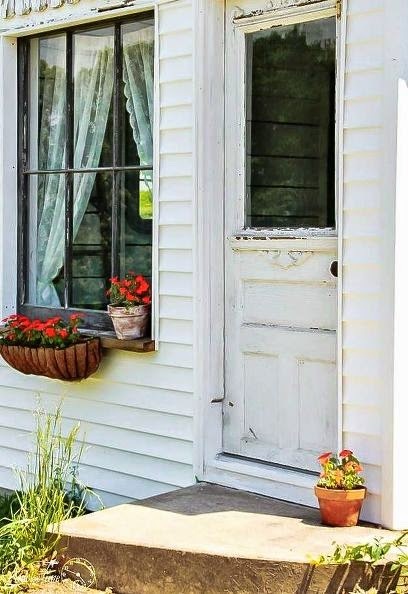 I love the rustic, country charm inviting me to sit down with my sweet tea on a summer evening. Is that a banjo I hear off in the distance? Oh, yeah! 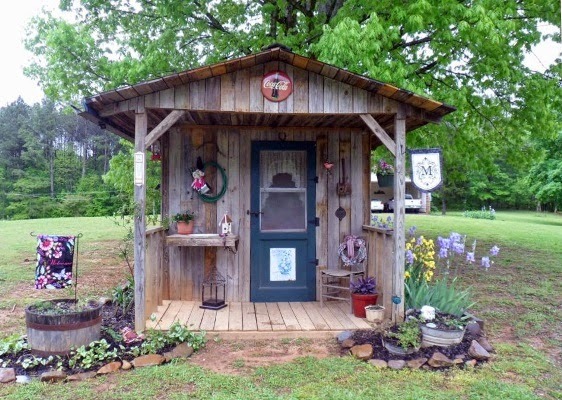 If you missed our own personal project of this pallet playhouse, see all the details here. We really enjoyed recreating this building by adding siding, roof, slats, and an old window. We accomplished this look for FREE! These structures are either high-end or highly transformed, all of which are great examples of creativity. 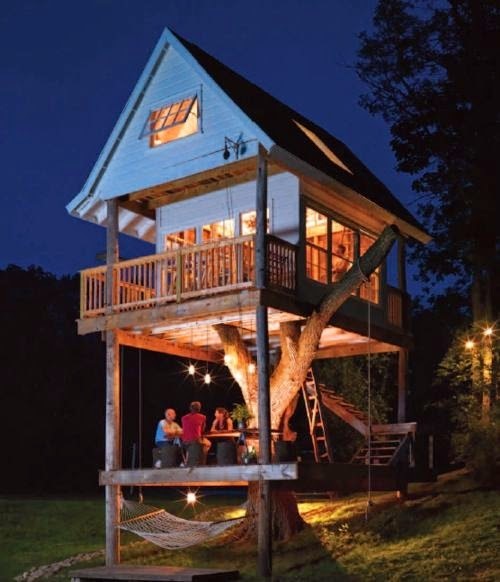 Yes, even grown ups need a really cool treehouse, especially when it's equipped with electricity! Elevated on a slope, you'll never miss a full moon or shooting star with the skylight in the roof and large window in what appears to be a loft space. You'll never guess what this space used to look like! This cottage was completely transformed into a wonderful guest retreat. Come on in, you'll want to stay for a while. Here's an awesome example of great use of color. This artist's studio can be opened up to create a seamless environment, allowing for plenty of inspiration. Can I Show You MY Project? Yes, I'd love to add more to my Hometalk board! To have your treehouse or similar structure featured, please share your project (with photos) on Hometalk, then post your link below in the comments.